Both girls now know how to use the remote for the tv, and they both choose what they want to watch. They both started going mad over PJ Masks and ever since they've both been massive PJ Masks fans. Elliw especially, our middle, she is at the age too where she just loves tv programmes like that. Many times I've heard or caught them role-playing PJ Masks in the house, and it's so adorable listening to their imaginations. 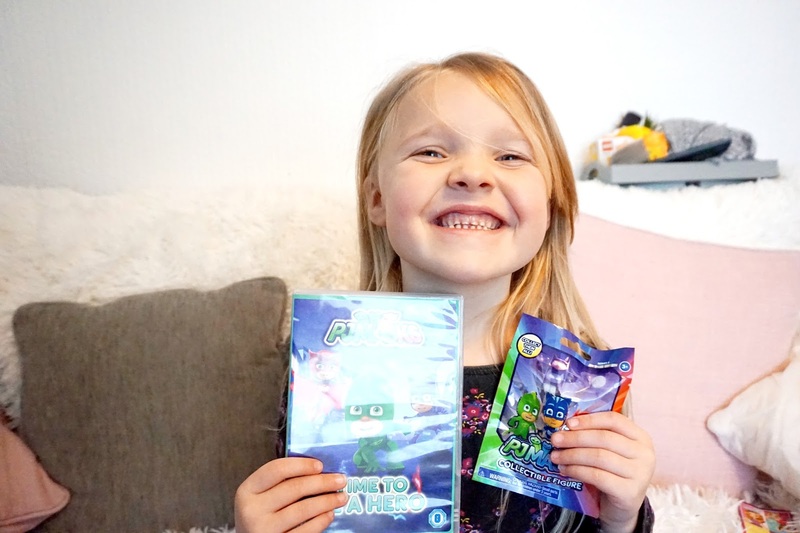 PJ Masks is a children's programme is about three children, Conor, Amaya and Greg. By day they are three normal school kids, but by night, if the city is in danger the trio put on their pyjamas and activate their amulets. They transform into their superhero alter-egos: Catboy, Owelette and Gekko. There's non stop action, and both girls absolutely love watching it. Gekko and Snore-A-Saurus - Luna Girl, turns a sleep-walking Cameron into her very own human puppet. 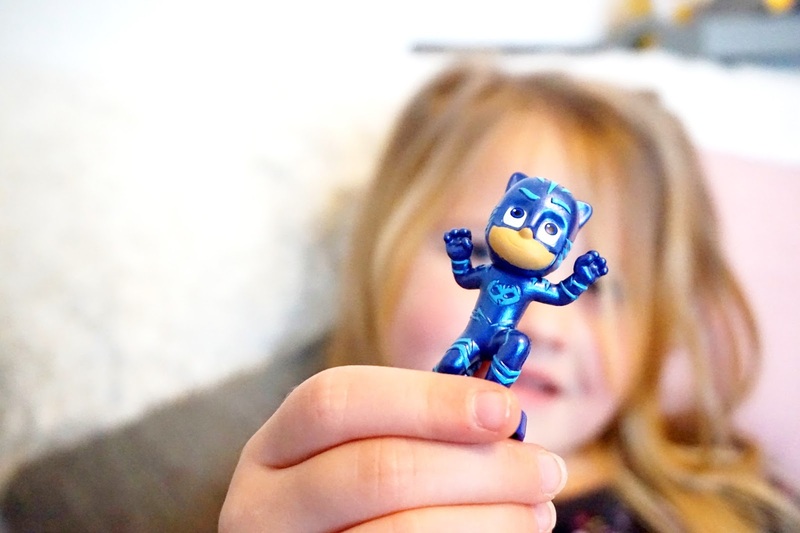 It's up to PJ Masks to save the day... but Gekko has to stop messing around first! Catboy and the Shrinker - Romeo and Night Ninja team up to shrink the PJ MAsks with Romeo's shrinker invention. When Catboy gets shrunk, he forgets that even a little guy can save the day... if he can use his small size to his advantage. Blame it on the Train, Owlette - When the Fairground Flyer Train goes missing from the fair, Owlette is determined to get it back quickly. But if she wants to defeat Romeo's new super train, she'll need to learn that a little patience goes a long way. Catboy's Tricky Ticket - Catboy only has two tickets to the Jayden Houston convert and has to decide which of his best friends to take to the show. Owlette and Gekko offer him resent to sway his decision, and Catboy's newfound greed could ensure Luna Girl ruins the concert for good. Clumsy Catboy - Romeo plans to use his newest decide to make everyone in the world so clumsy that they can't stop him from taking over the world. But when agile Catboy is the first to be "clumsifiled", he can't admit it and tries to save the day without any help. 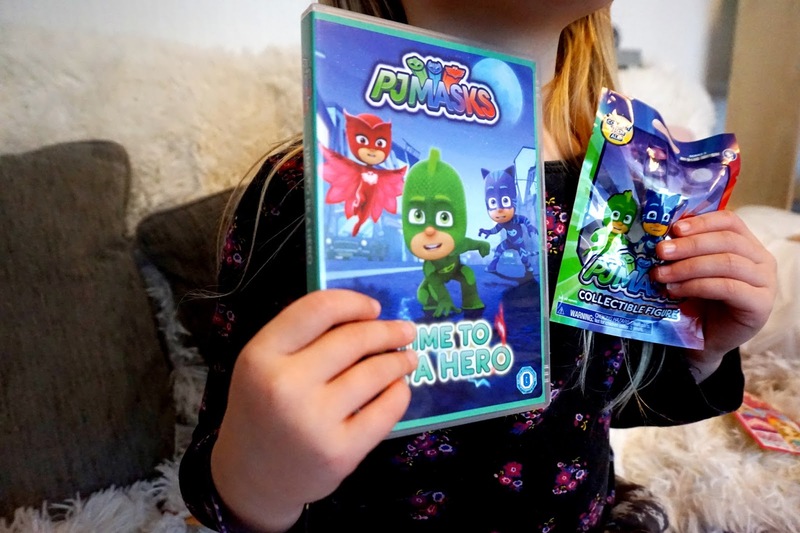 All PJ Masks fans will absolutely love their new DVD! You can pre-order the DVD on Amazon here.